With only 1 stop light between Conifer and DIA (Denver International Airport) the city of Conifer is truly tucked into some of the most beautiful mountains in our area. Conifer is close to Denver, only about 45 minutes to downtown and only 5-10 minutes to thousands of acres of hiking, biking and fishing. 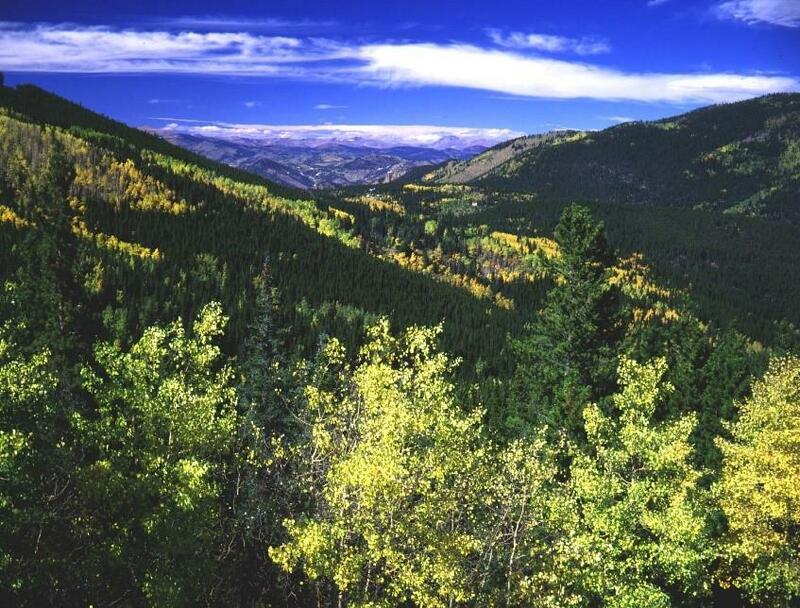 The Pike National Forest runs right through town and provides a haven for endless wildlife including deer, elk, foxes, turkeys, bears, mountain lions and endless birds. When the month of April arrives, homeowners and businesses begin to hang out hummingbird feeders in anticipation of their arrival. Before the popularity of the community and the rise of homes being built in the area, the first inhabitants were Arapaho, Ute and Cheyenne tribes who used the area for hunting grounds. The Native Americans were followed by merchants, trappers, ranchers and miners. The city is now home to numerous parks maintained by Jeffco Open Spaceâ€¦..Reynolds Park, Flying J, Beaver Ranch, James Q Newton Park, Staunton State Park, Meyer Ranch Open Space, and Pine Valley Ranch Open Space on the banks of the North Fork of the South Platte River just to name a few. Whether you want a tranquil and private day on the river or a vigorous hike through the mountains filled with wildflowers and meandering streams, Conifer welcomes you!